Hedgehog numbers are in sharp decline. There are now thought to be less than one million hedgehogs left in the wild in the UK, down from a height of over 30 million in the 1950s. There are lots of reasons for this decline including habitat loss, increasing road traffic and the use of pesticides. In recent years people have fenced off their gardens, concreted over their gardens and removed hedges and wild areas where hedgehogs once thrived. There is a glimmer of hope that some populations in urban areas appear to be stabilising. But whilst our gardens can be great havens for hedgehogs, they are also home to many dangers including ponds, strimmers, netting, dogs and rubbish. My site is packed full of tips and advice for helping reverse this decline including how to create a hedgehog friendly garden, what plants to grow to attract insets (beetles are the number one food for hedgehogs) and what to feed hedgehogs visiting your garden. Please also create a hedgehog highway and a hibernation box and feeding station to give your local hedgehogs a helping hand. I hope you will find the site informative and will help to spread the word about how we can help hedgehogs. I run a hedgehog hospital in York, England. My work is entirely self funded. You can find out more about my work and how you can support it here. 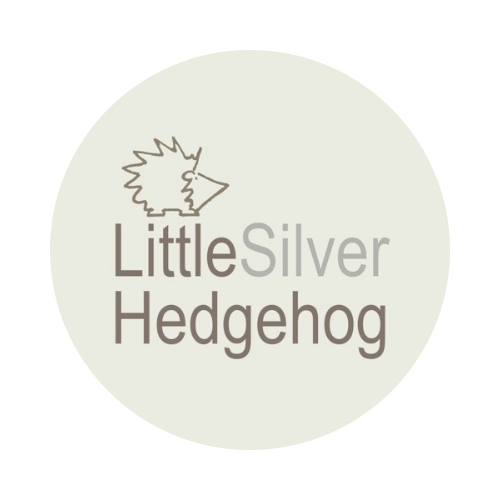 I also make silver jewellery to raise funds to cover the cost of the hedgehog hospital.